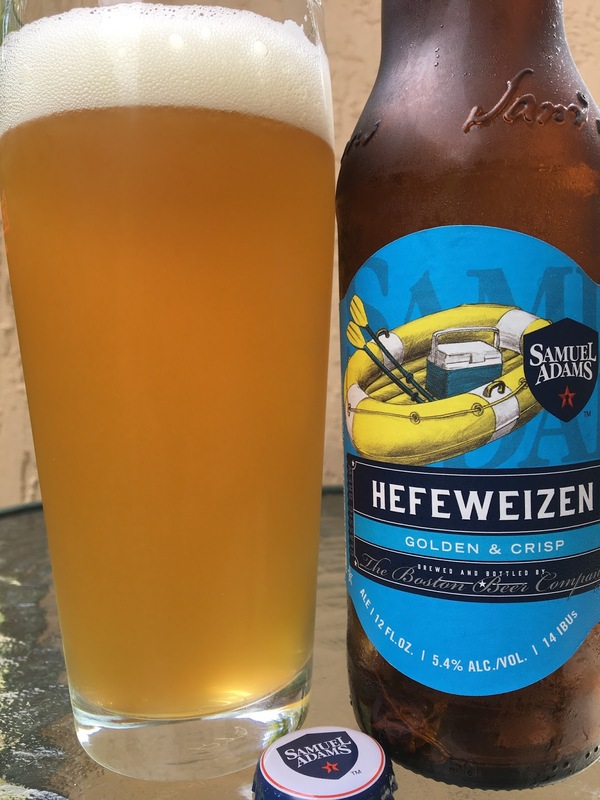 Today I'm checking out Samuel Adams Hefeweizen. The label shows a raft with a cooler and a few paddles. 5.4% alcohol. 14 IBU. Banana and a faint spicy aroma. Wheaty twang comes first. Definitely can taste banana flavors, too. Soft spiciness with cloves. On the sweet side but not overly so. Spices build as you drink more. Not bad.